Talk about a nice note, here is one. 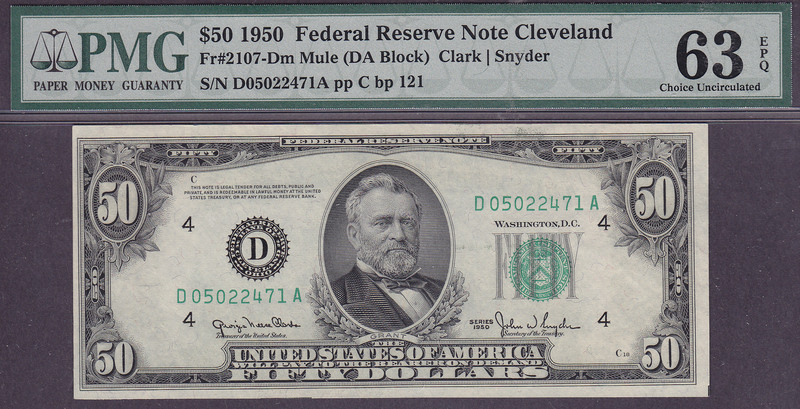 This is a totally original 1950 Cleveland $50 Mule FRN. 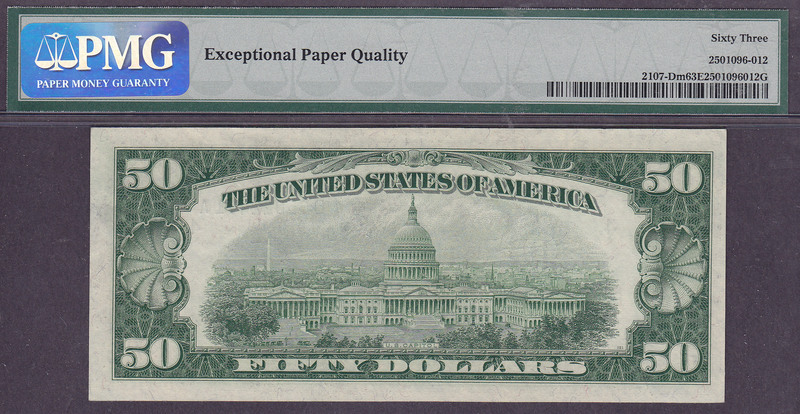 The serial number is D05022417A. It is in a PMG-63EPQ holder. the plate numbers are C18/121.